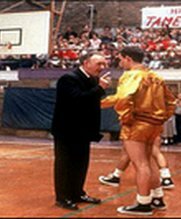 Gene Hackman. Barbara Hershey. Dennis Hopper. Carter De Haven. Angelo Pizzo. Drama. Sport. Colleges & Students. 01 Dave W (Whisky) Faves. Hearing Impaired (DVD). True Stories. 1950s. One of the most rousingly enjoyable sports movies ever made, this small-town drama tells the story of the Hickory Huskers, an underdog basketball team from a tiny Indiana High School trying to make it to the state championship.